Banned from plantations! 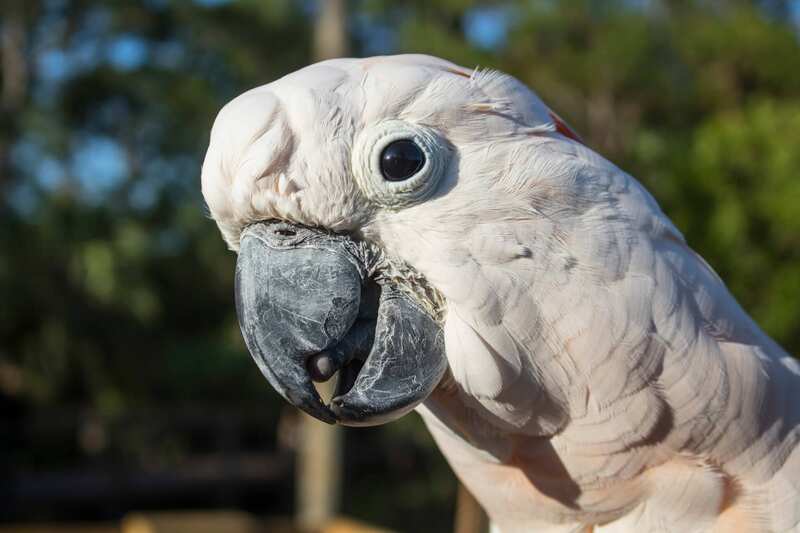 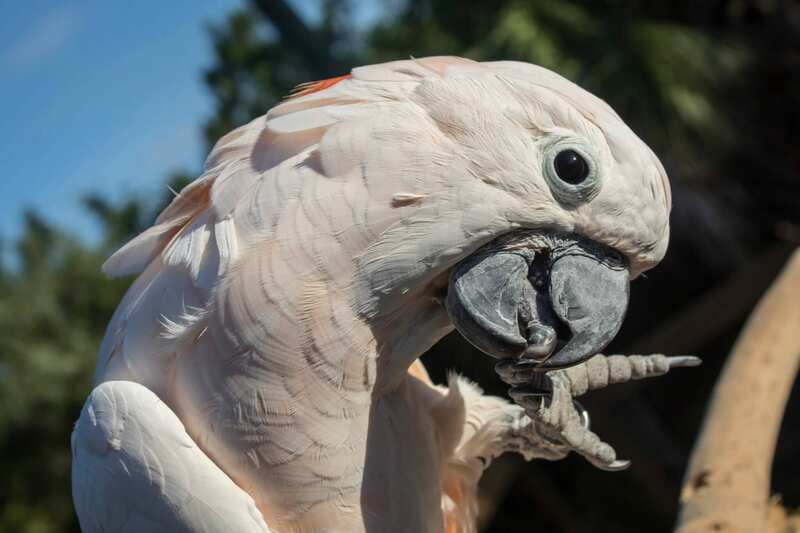 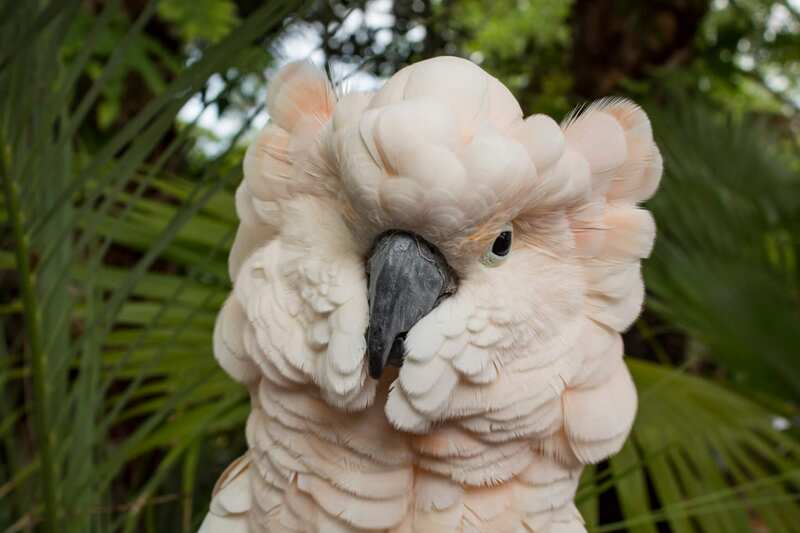 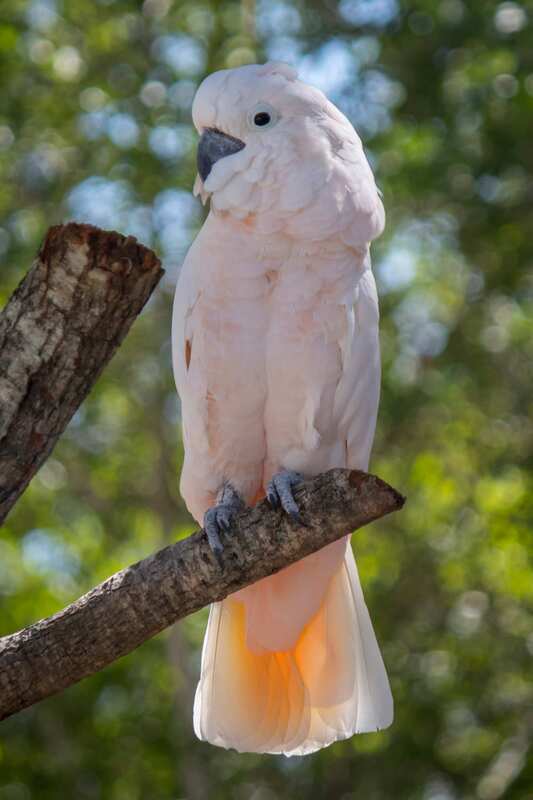 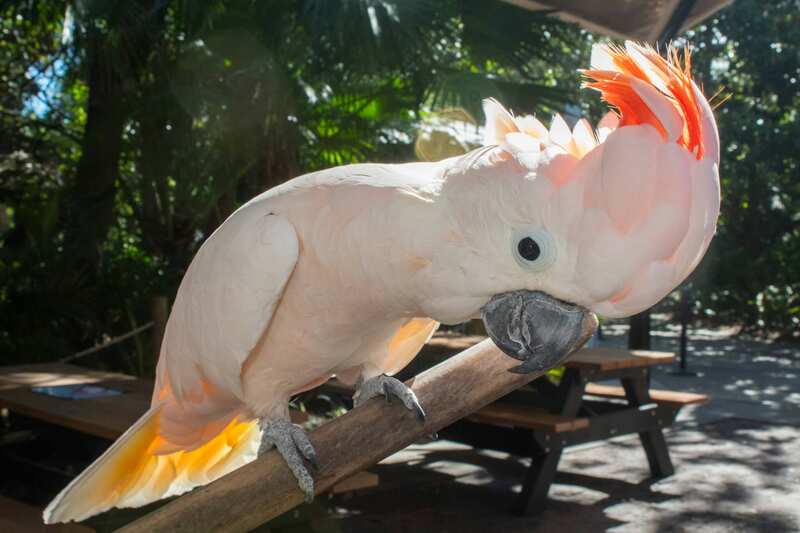 Salmon-crested cockatoos are known as pests in grain and coconut plantations because they love to attack young coconuts, chewing through the outer layers to get the milk and soft pulp within. 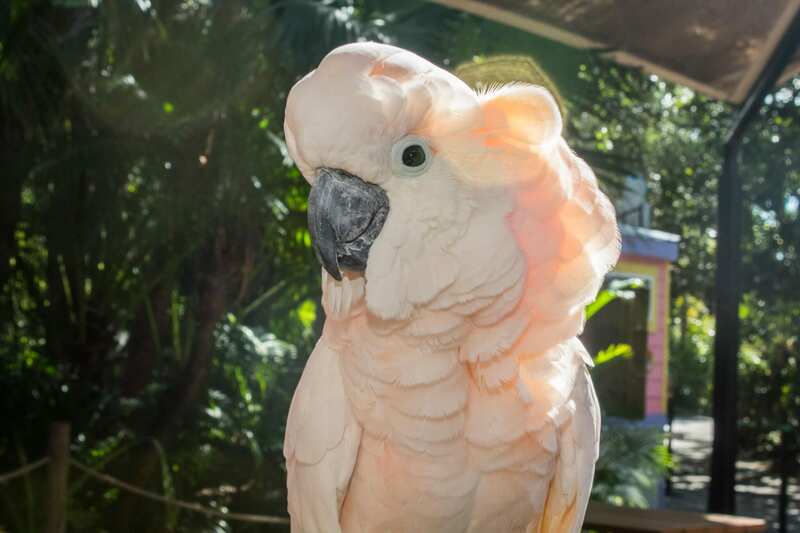 This bird is named for its exceptionally long, backward-curving, salmon-pink crest, though the rest of its body is white with hints of soft pink.